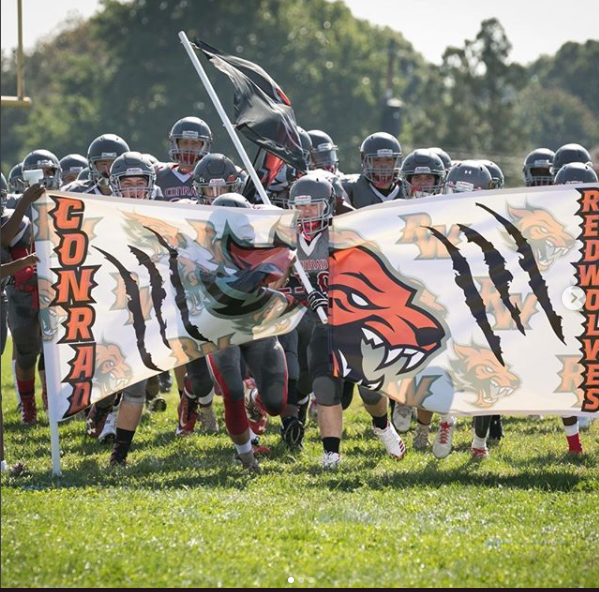 Congratulations to the Conrad Redwolves on an outstanding game against First State Military Academy as the Redwolves blew by them for a final score of 50-6. Touchdowns were scored by seniors Lawrence Brown, Jon Pisocki, Michael Shields, and junior Zakk Camilli. Brown and Camilli had outstanding performances with multiple game scoring TD’s. Make sure to come out this Friday September 29 and show our support as the Redwolves take on Red Lion Christian Academy for our last Friday game under the lights. Remember to wear your best tropical outfit because the Redzone is going for the Hawaiian theme.